Refreshments you can count on. 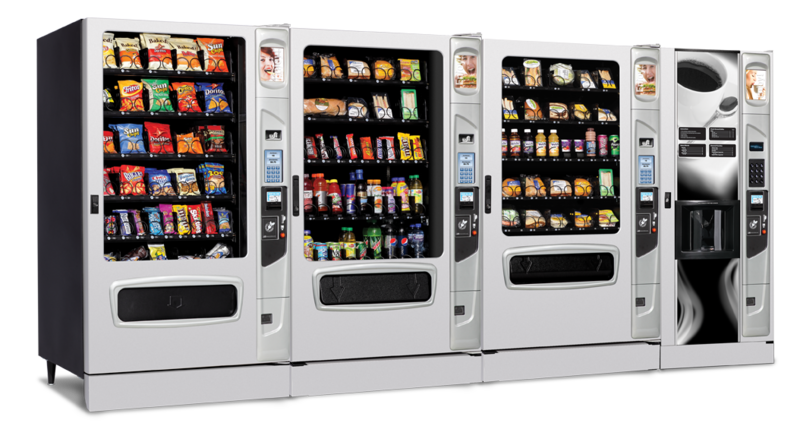 Give employees or visitors a chance to reboot with a snack vending machine program from Dependable Vending. We offer modern snack vending machines, monitored from the warehouse and built with infrared technology to guarantee a product drops when purchased. If the product doesn’t drop, then the money is returned immediately. With our service, employees will love the wide-array of options available to them, including many healthy vending machine alternatives through the Healthy Highways program. We keep the variety fresh by regularly rotating in new items to our Los Angeles and Orange County vending machines as well. From vending to coffee and everything in between, Dependable Vending has the know-how to make it happen. Choose from brand name sodas to refreshing bottled iced teas. We stock the drinks employees and visitors crave. Create a perfect blend of salty to sweet items using our selection of time-tested snack products. Whether it’s morning, the lunch hour or during an all-night shift, Los Angeles and Orange County employees will appreciate our flavorful entrees. Provide options that fit a healthy lifestyle by selecting from our line of low calorie, low sugar options.